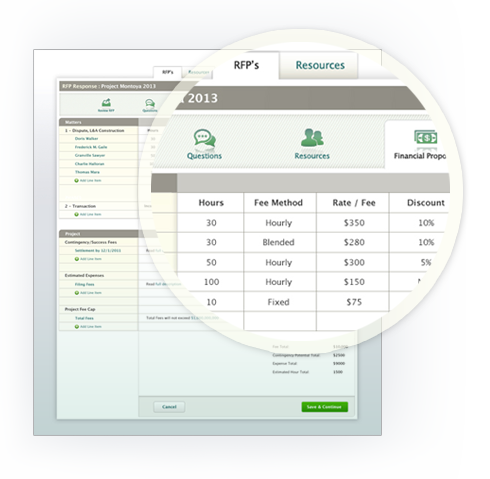 Use the RFP generator to create your RFP with ease. When you’ve input all key information, then invite the law firms you want to submit proposals to respond to your RFP. 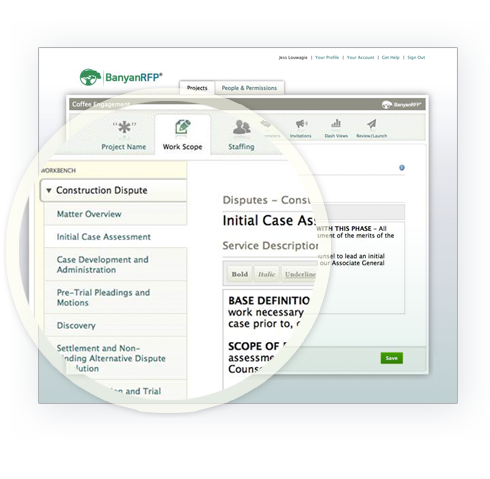 All law firm proposals are formatted consistently to ease your review. 3. Compare Proposals, Drive Competition. 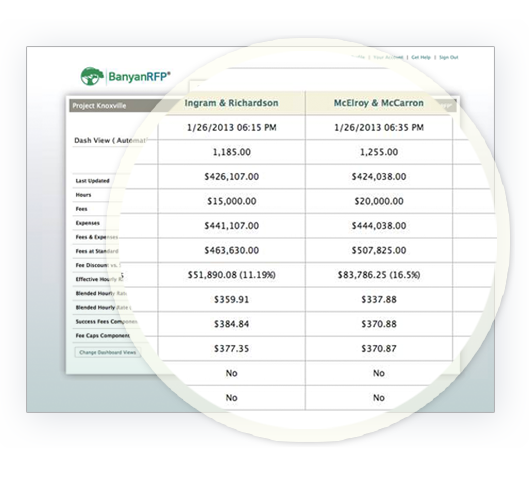 When your RFP process is complete, engage whatever law firm you want to help with your project.